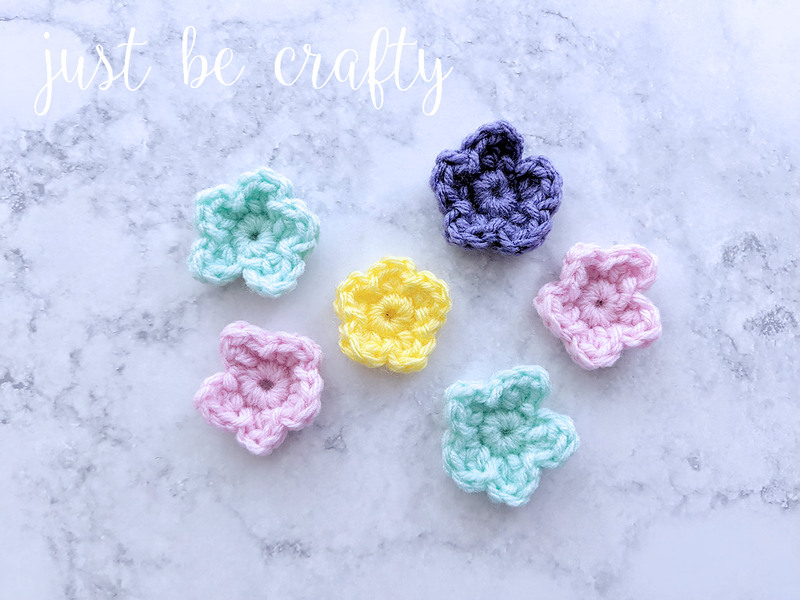 Learn to make the crochet wildflower with this super simple step by step video tutorial. 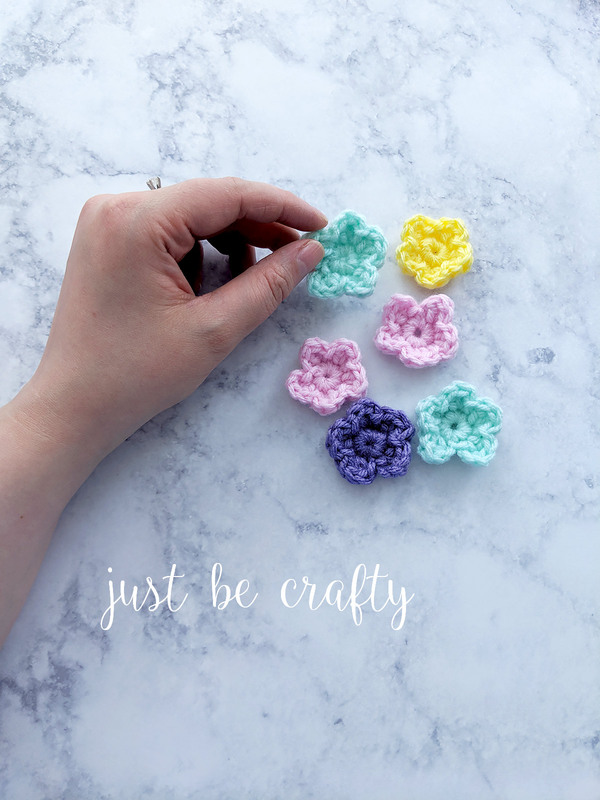 So quick and easy, you will have a bouquet whipped up in no time! 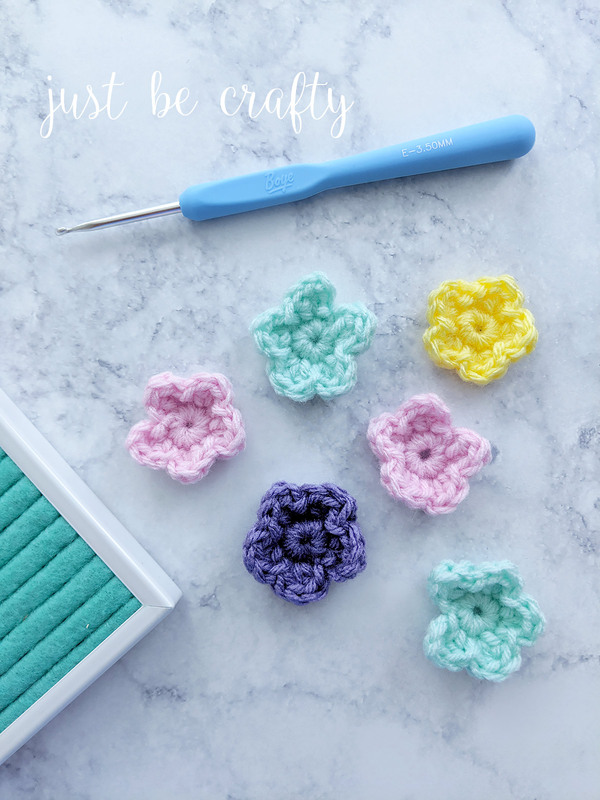 In today’s post I will teach you how to make this adorable crochet wildflower. 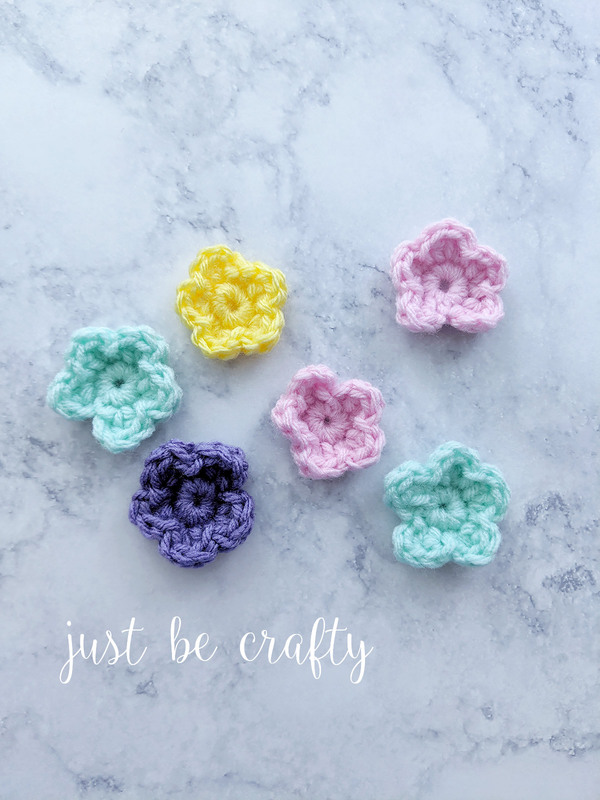 This wildflower can be used as an applique to attach on various projects such as hats, scarves, blankets, etc… I will be using these flowers in a larger project that will be announced at a later date, and I absolutely cannot wait to share it with you! Be sure to stay tuned! 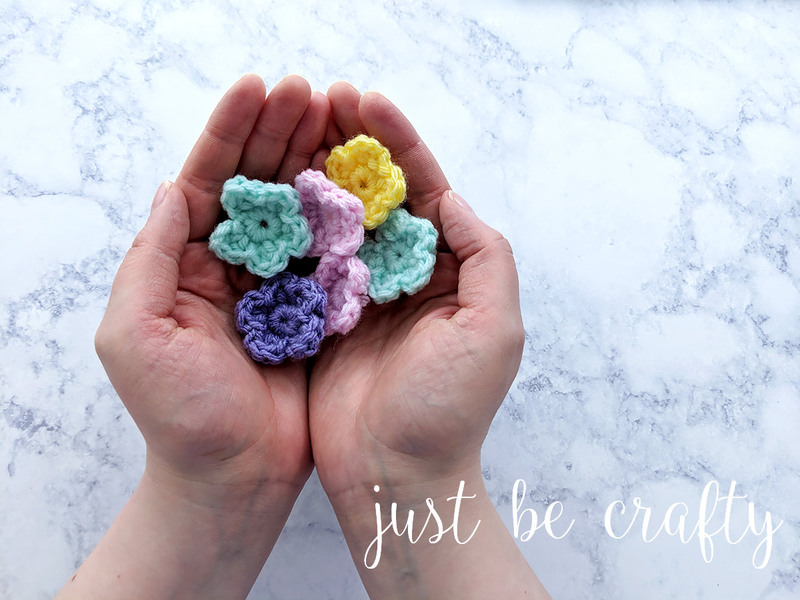 To learn how to make your own crochet wildflower, keep on reading! 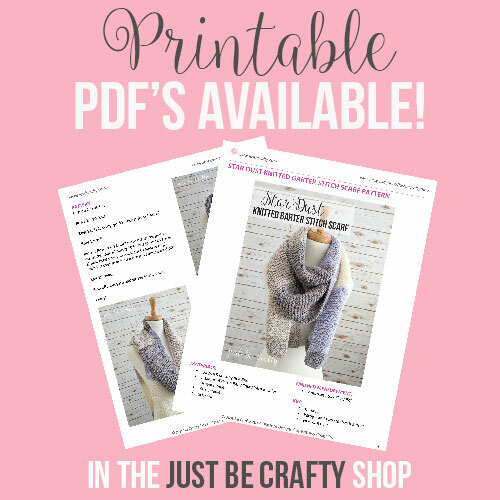 Once you’ve mastered the above skills you are ready to jump into this project! Cut yarn and secure. Pull tail to back and weave towards the center of the flower circle. Tie both tails into a knot to secure. 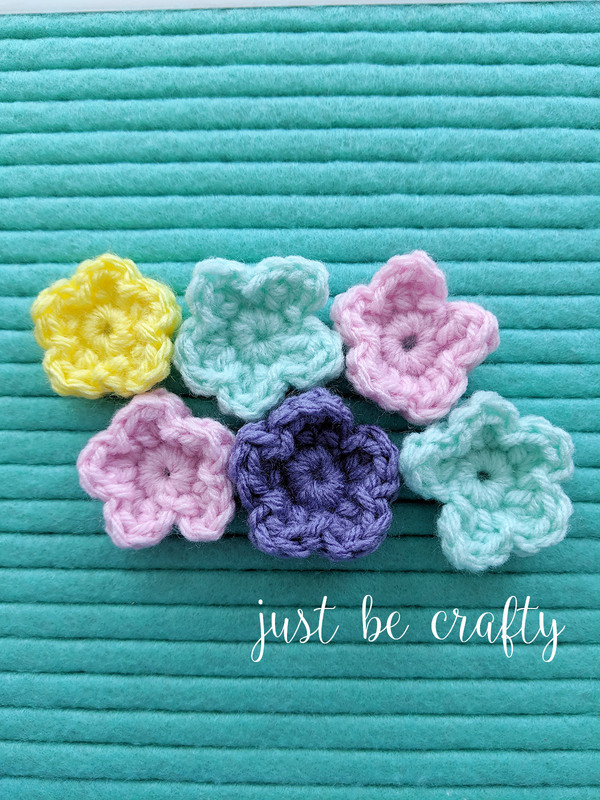 Use tails to attach flower to your project. Hi Reita! I do not have any baby bootie patterns on my blog yet, but I will keep that in mind for a future pattern!